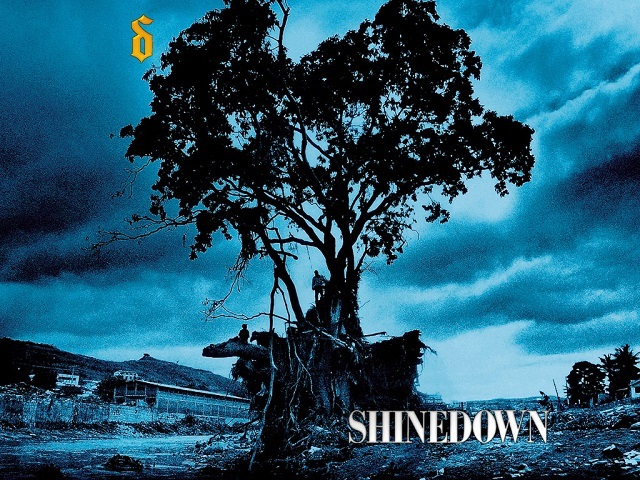 I just got home from work, and on the way home I was cranking Shinedown. [QUOTE=tigerfan814;2518526]Been in a Breaking Benjamin kind mood. Been in a Breaking Benjamin kind mood. Sorry for all of the post. Obviously don't what the heck I'm doing. That's ok man Here is how you can embed a youtube video on this site. First go to Youtube and find the video you want to post. You don't want to copy the entire Youtube link, just the text right after the "v=" in the address. After all of these years, I'm finally getting to catch The Sword live. They're one of my all-time favorite bands, so I'm pretty psyched. Awesome man! Enjoy the show!!! It's been a busy couple of weekends, for me. Last weekend, I caught Lamb of God, Slayer, Black Label Society, Marilyn Manson, Rob Zombie and a pile of other bands. Today will be a little calmer, comparatively speaking. I really wish I could have caught the MM, RZ show! Zombie was entertaining, per usual. Manson was drunk and phoned it in...but he played his entire set, so there's that. I'm glad I got to see him, but he ain't the Mason from Antichrist Superstar/Mechanical Animals/Holy Wood, anymore. That's a bummer, I knew I should have caught him (MM) years ago. Yeah, it was definitely a bit of a bummer. I took solace in the fact that he was in Montreal the night before and acted exactly the same. It wasn't just the fact that he was at a smaller venue; he's a douchy diva everywhere. To be fair, he was a bit of a douchy diva back then too. Two elderly German men escaped the confines of their nursing home on Friday to attend Wacken Open Air, police said. The nursing home alerted police after the gentlemen were found to be missing from the center. Police then found the aging metalheads at 3 a.m. at Wacken Open Air, the world’s biggest heavy metal festival. A police spokeswoman said they were "disoriented and dazed." The men were reluctant to leave the four-day festival so police escorted them home with the help of a taxi and a patrol car. "They obviously liked the metal festival," police spokeswoman Merle Neufeld told public broadcaster Norddeutscher Rundfunk. "The care home quickly organized a return transport after police picked them up."